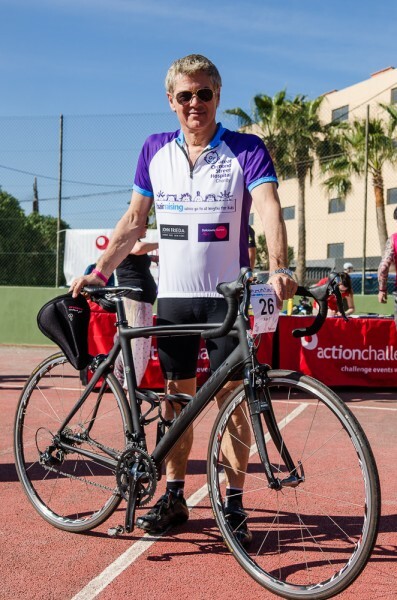 Hairdressing entrepreneur John Frieda is encouraging hairdressers up and down the country to join him to hike or bike around the beautiful island of Ibiza to help raise vital funds for Great Ormond Street Hospital Children’s Charity. Now in its fifth year, the 160km cycle challenge (with an optional 20km loop) offers stunning scenic views with tough hill climbs and fast smooth road-riding to provide cyclists with a thrilling ride. The brand new 50K walking route offers challenging terrain and beautiful panoramic views of the Island. Whether hiking or biking, everyone taking part will also have the chance to enjoy an exclusive celebration party at the end of the challenge. The Ibiza hike or bike 2016 will take place on Saturday 30 April and Sunday 1 May 2016 and the hairdressing community is urged to put down their hair brushes and get on their bikes to raise funds for Great Ormond Street Hospital Children’s Charity. This unique event is part of the HAIRraising appeal, which brings together members of the UK hairdressing community in support of Great Ormond Street Hospital Children’s Charity. The appeal, founded by John Frieda in 2010, has already raised more than £1.8 million and now aims to raise even more vital funds for the hospital’s Respiratory Unit. There is a £75 non-refundable registration fee and cyclists must raise a minimum of £1,300 for HAIRraising to participate.